With our home window tinting service, you can keep out up to 85% of incoming heat and cut down 99% of U/V rays. Reduce the annoying glare on your TV screen and enjoy the view out your window without having to squint. 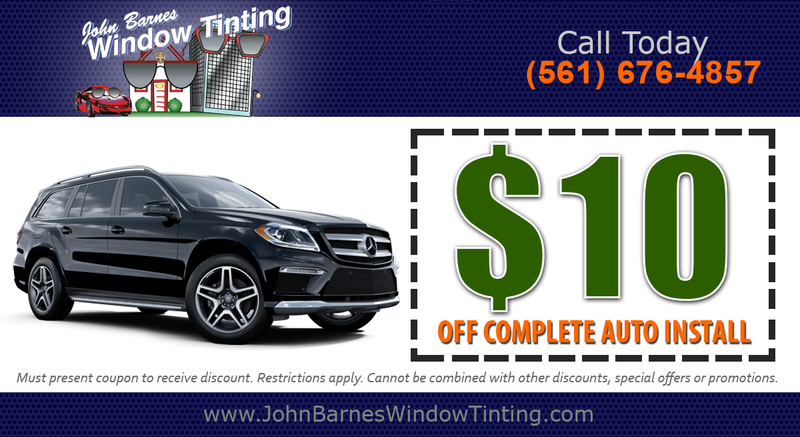 Best of all, window tinting with John Barnes might reduce your electrical bill by up to 30%. Our service area for Window Tinting covers everything from Palm Beach to Broward to Miami. For excellent energy efficiency, consider ordering window tinting at your home today. Improve temperature, energy costs, and overall comfort in your office today with office window tinting in south Florida and the surrounding communities. Improve your building’s appearance inside and out with minimal fading and deterioration. Overall, window tinting means an excellent return on investment and other benefits. 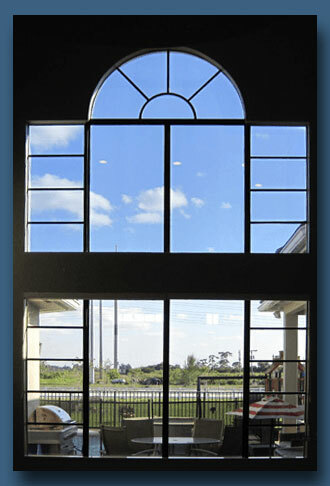 Your customers and employees can enjoy the aesthetics and comfort provided by window tinting in south Florida and get a break from the hot sun. 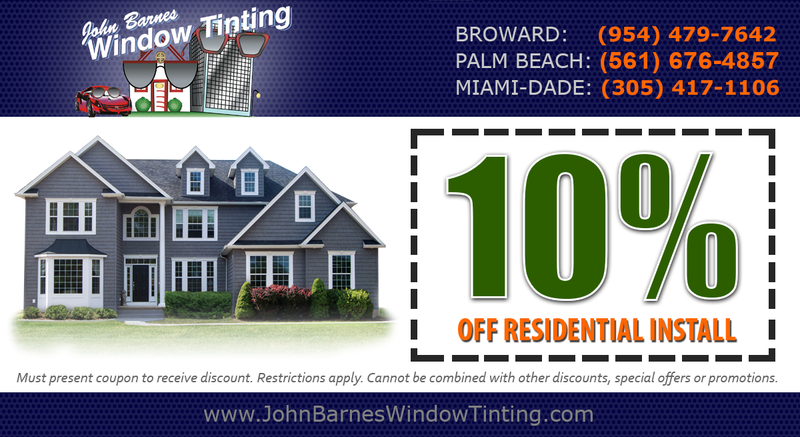 Call us to receive a free estimate for our home or commercial window tinting services.